I have never been someone who’s naturally athletic. Yes, my parents enlisted me in all kinds of athletic endeavors when I was younger but I never really excelled in any of them. I could pass for a soccer player when I was cute and 5 years old, but skills started to fade shortly after my 6th birthday. I liked volleyball but I never found that I was very coordinated or consistent. I really loved basketball but again, my lay-ups and jump shots could use a ton of work. So I stopped playing organized sports senior year of high school and started figuring out how to exercise on my own. I started running ‘for fun’ during the summer before my freshmen year of college. Nothing crazy, just two miles a day, almost every day. I felt good, I looked stronger, I had better endurance for long bike rides and swimming in the lake during those hot summer days. And just to be clear, this is not where I tell you that I suddenly became good at something athletic. 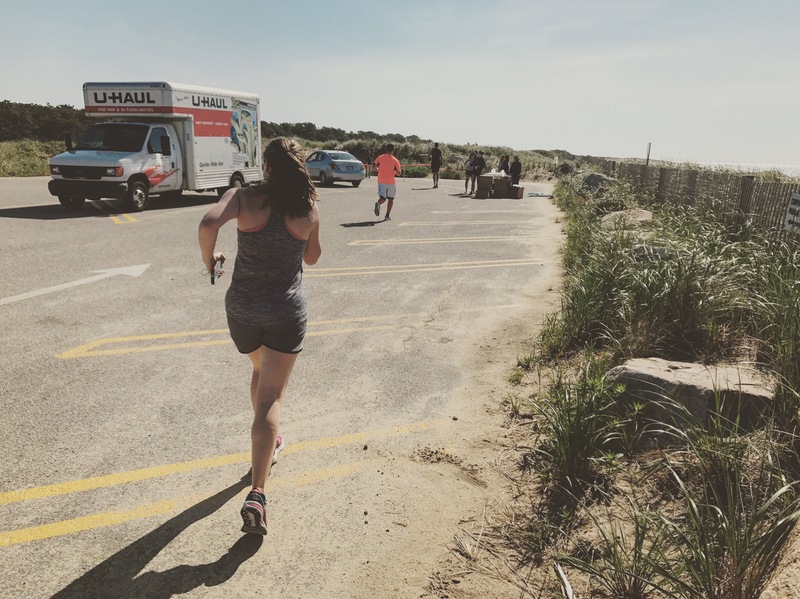 This is where I tell you how I kind of, sort of, maybe figured out how to run in a safe, effective and enjoyable way. I decided to try my luck at a few races, began to like the act of training and collecting medals and before I knew it, I ran my first half marathon. Since then, I added a few other outdoor sports to the repertoire but I always come back to running. I decided in 2016 that I wanted to do something beyond my normal comfort zone. So I hastily signed up for a full marathon before I could chicken out and began planning my attack. Another point of clarity, in case you were wondering, me finishing the marathon is not the goal of this article (although, yes, I did, begrudgingly). This is about how much I learned throughout the pain-staking process. The training, the eating, the maintenance, the support, the rest, etc. I thought I would share these lessons and hopefully help provide some insight and maybe, just maybe, some laughs. Choosing the right race is important. Looking back, I wish I had chosen my race differently. I chose a random race in Nashville, TN because my hope was that that would force my parents to go on a trip there as they have always talked about. I didn’t really read about the course, see how many people did it last year, what kind of gear I would get, etc. I found a date and just signed up immediately. Don’t do it that way. Take a look at the race course, understand the elevation gain, check out how many people raced last year, what kind of shirt you will get for your money. Then sleep on it. If you wake up feeling motivated and excited about the race, sign up immediately. If not, take a look at any other race in that time frame and repeat. I use the Running in the USA portal to find races in places around the country, to day dream, but mostly to get myself psyched on the next goal! I would recommend using it when planning. When planning for a marathon, its important to understand that you will have less time for other things like going out with your friends, reading, and going to the rock climbing gym. You will want to skip days on your training schedule and just go out for a beer, but I urge you to stick to your guns and stay focused on the goal. 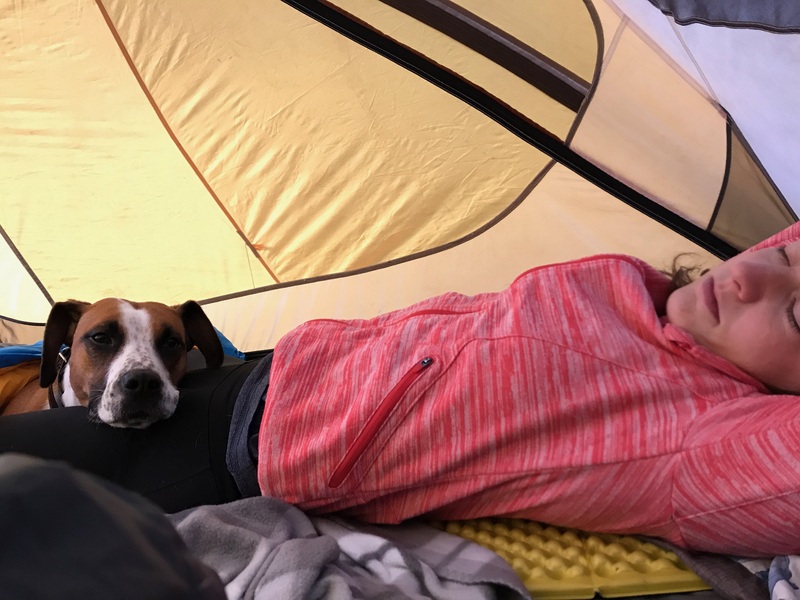 During my marathon training period, I found I was much more well-rested because I committed to focusing on this big goal and didn’t overbook myself as much. This is not to say that you can’t have fun and still have a balanced lifestyle while marathon training, I just think it should be reiterated that when you’re training, you need more sleep and you need more time to get your runs in. You spent money on a race, potentially already booked your travel – you owe it to yourself to make this the best experience possible and putting your training first will get you there. Hoping this Uhaul can take me to the finish line. Running shoes are expensive but very much worth it. I had never really paid attention to my shoes before this training period. I had always bought Asics and I planned to just stick with what I knew. I’m glad that I didn’t. My sister decided to gift me Saucony sneakers for my birthday and went with me to pick them out at our local running store, Marathon Sports. The staff there briefly watched me run, established what type of shoe I need based on my gait and I walked out of there with a pretty swanky new pair of Saucony Hurricane ISO 3s. 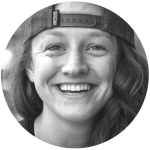 Immediately, I noticed a difference in how my body was feeling after runs and vowed to never go back. Pay the extra moola, keep your body in tact. Foam rollers and stretching should be your two best friends. Shortly after I did my marathon, I got a knee injury. My physical therapist, who was a very direct and open woman, told me that if I had taken care of myself by stretching and foam rolling for oh, I don’t know, the past 10 years or so, I wouldn’t have any knee troubles (THANKS, DOC). It becomes really easy to not stretch or foam roll because it takes a good amount of time and effort, especially after a long run. Do it. Make the time, buy a foam roller, buy a hand massager, stretch at your desk, stretch at home, stretch all the time. Here are some products I have to help with this – my hand roller and my portable foam roller. You can bring one or both of these with you when you’re traveling so that you don’t go a day without a really nice, painful massage on your hardworking muscles. Marathon runners discuss poop a lot and its a very comfortable, easy conversation. You know why? Because almost all of us have had issues with having to poop while running. Start to be comfortable with potentially having to dash into the woods or into the closest coffee shop and I would encourage bringing tissues on your long runs, just in case. If just knowing that you’re not alone in this isn’t enough, here are a few tips from runner’s world on how to combat the seemingly inevitable poo. Sleep more than you think you need. Marathon training is truly exhausting. I’m the type of person who can get less sleep and still function the next day if I have enough coffee at my disposal. Even I had to change my schedule a little in order to make sure I was letting my body recover. Especially if this is your first marathon, your body has never been through such rigorous activity before and will need more time to rest. I would go by a rule of thumb of adding 1 hour to your normal amount while marathon training. I don’t think any actual personal trainer or nutritionist would tell you this but we can keep it our little secret. Take this time to eat more than you normally would – both because you have to in order to restore everything you’re losing and because eating is awesome. Honestly, I enjoyed being able to have two bagels (okay, maybe it was three) in a row after long runs. 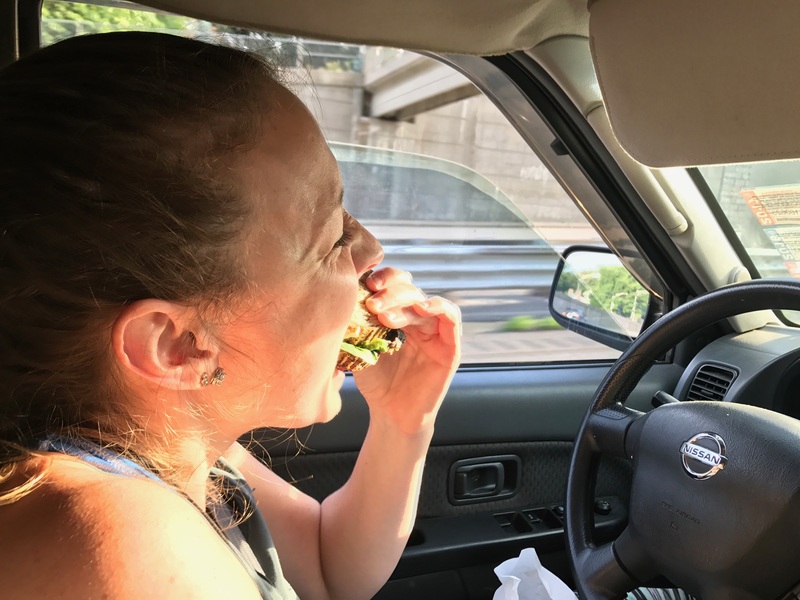 Again, this is not a scientific, maybe even healthy tip, but I loved this aspect of training – you’re working so hard and you’re burning so many calories, especially on long runs, let yourself meander a little off your normal strict-ish diet. Show that sandwich who is boss. Tapering is simultaneously awesome and maddening. When I first took a look at my training plan, my eyes were drawn to the last few weeks before the race. It looked like the easiest weeks ever, especially after running double digits every weekend for a few months. I was really looking forward to it, I planned trips around it, but when it finally arrived, I felt like I was going insane. I was happy to let my legs rest, to focus on stretching and foam rolling, rather than long mileage runs. Simultaneously, I had such a large build up of energy and was still just as hungry as before. The last two to three weeks of marathon training are a fun-mental-training-component-bonus you didn’t know you were going to get (at least I didn’t). I would recommend doing activities that don’t have to do with running during this time to lessen the wild, cocaine-like feeling you have. Reading books is a great idea (I mean, in general its a great idea, but also a nice tactic for taking your mind off of tapering). And if you are someone who can meditate, I would try doing a bit of that as well. But as always, FOAM ROLLING AND STRETCHING. The week before the race is kind of a wash – you are at a point where you cannot enhance your endurance or capabilities any more and its time to just start prepping. I couldn’t stop thinking about the race; I would dream about it, day dream about it, annoyingly talk to my coworkers about it who had definitely heard me annoyingly talk about it too much already. I didn’t do anything special the week before the race besides try to eat healthy and not drinking alcohol. That being said, the day before the race, we did go to a winery, but hey, lesson learned. Now that I’ve had time to reflect on what I would do differently and have been able to research more ideas, I would have paid greater attention to detail and set myself up for even greater success. Here are a few tips that I didn’t even think of that made much more sense than my approach: doing nothing differently. This one was probably the most important of all. Running a marathon is an individual decision – but you truly do need a phenomenal support system around you. As I mentioned earlier, running and training takes away time spent with those you love – so its important to have the right people in your corner. I was lucky enough to have my parents, my sister and brother-in-law and my boyfriend all travel from the Northeast to Nashville with me, with the main part of this trip being me running for anywhere between 4-5 hours on Saturday. Throughout all of my training, I had to plan family time, romantic time and friend time around my runs and my parents, my sister and my boyfriend all took incredibly supportive roles, being as understanding as possible and letting me do what I needed to do to achieve my goals. This is also important because you don’t want to go to brunch alone after running 26.2 miles. All in all, I’m not sure if I’ll run another marathon but I’m happy I had the experience of running one, once in my life. It taught me a lot about how to take care of my body and how to prioritize my goals and still balance other aspects of my life. I’m hoping this helped and I wish you the best as you go after your goals! Which Thermos Bottle Keeps Your Water Hot the Longest? I learn more about life through your eyes everyday!